Built in 1909, this Colonial Craftsman listed on Zillow boasts a rich historical past. Located in Seattle, the home was designed by renowned architect Arthur Loveless and built by business tycoon HB Kennedy. It also appeared in the 1993 film Sleepless in Seattle! The home measures 7,200 square feet (669 square meters), and it's absolutely gorgeous even from the outside. The columned front porch and a large number of windows make it especially appealing! 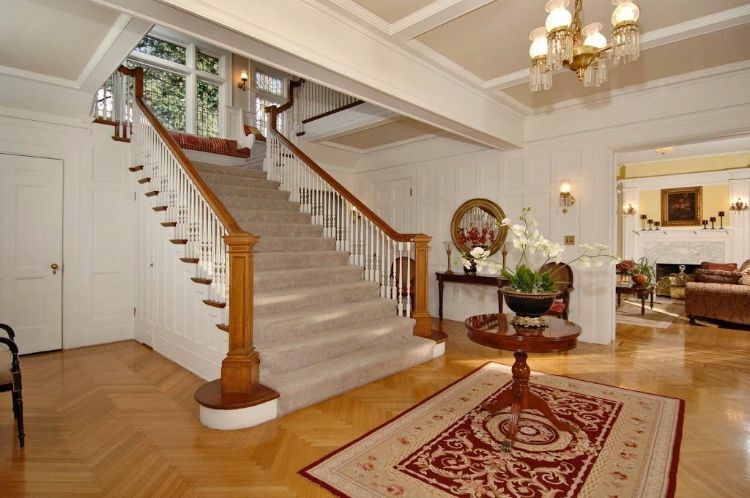 Anyone who enters the home is greeted by this impressive entryway, which boasts an imposing staircase and a two-tone coffered ceiling. The hardwood floors are made of Russian oak; be sure to notice the gorgeous patterning! 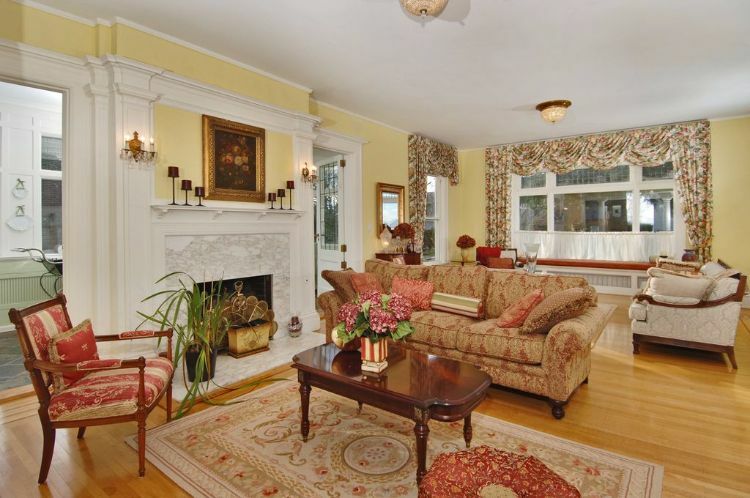 The living room is done in a cheerful yellow color scheme, and it boasts an inviting marble fireplace. The woodwork around the fireplace mantle is beautiful as well! 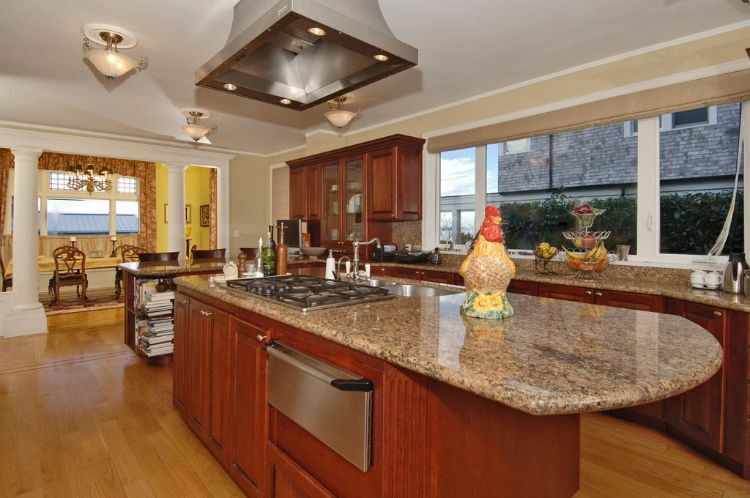 Here we have the kitchen, which is worthy of a gourmet chef. It features granite countertops and stainless steel appliances, and it has all the cupboard space anyone could ever need. 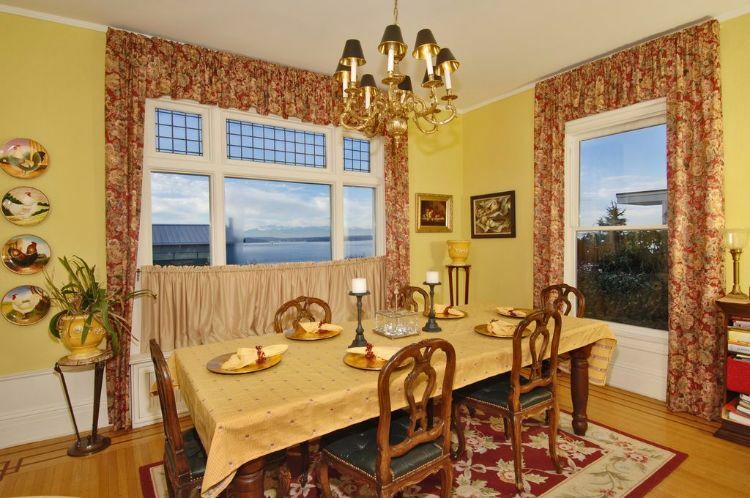 The home is meant for entertaining; it has not one but two dining rooms! 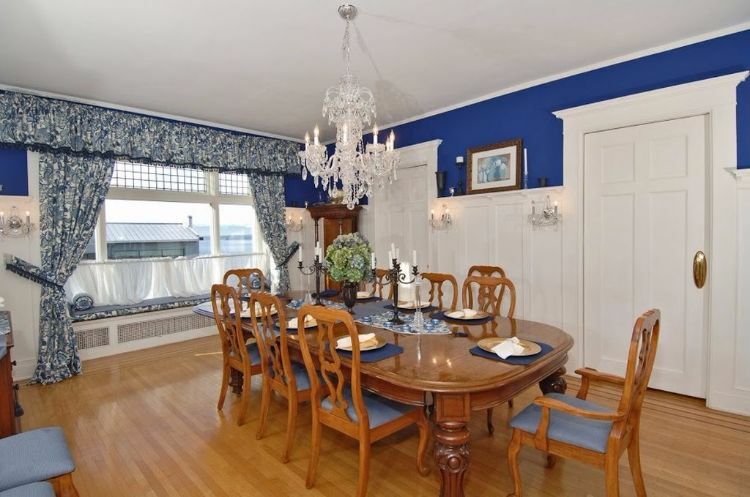 This is the first, and it has lovely wainscoting on the walls as well as an elegant chandelier above the table. There is also a charming window seat tucked away in the back. The second dining room isn't quite as elegant, but it's still beautiful. The views out the window are to die for! 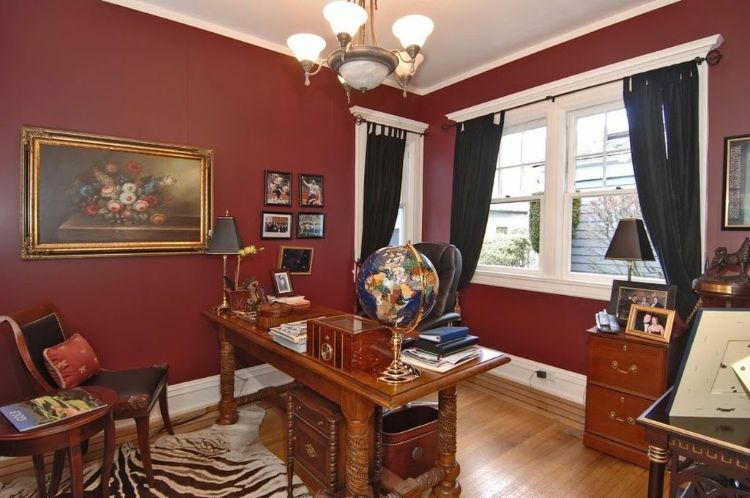 With dark red walls and wooden furniture, this home office is warm and inviting. Partially paned windows let in natural light if it's wanted, but the owners have chosen to furnish the room with black light-blocking curtains. 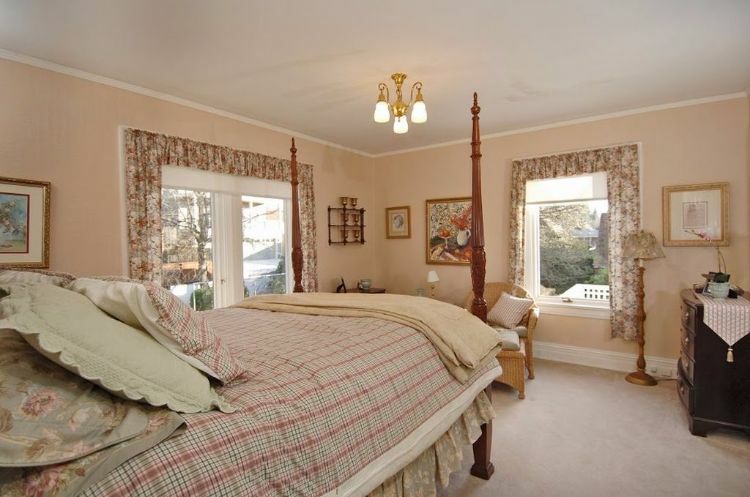 In typical colonial fashion, some of the home's bedrooms also include small sitting areas. This one features a fireplace to keep the room cozy on chilly winter evenings. The huge master bathroom is pure luxury; it features a huge vanity and a beautifully tiled floor. The room is illuminated by wall sconces attached to the mirror as well as lights set in the molding that runs around the ceiling. 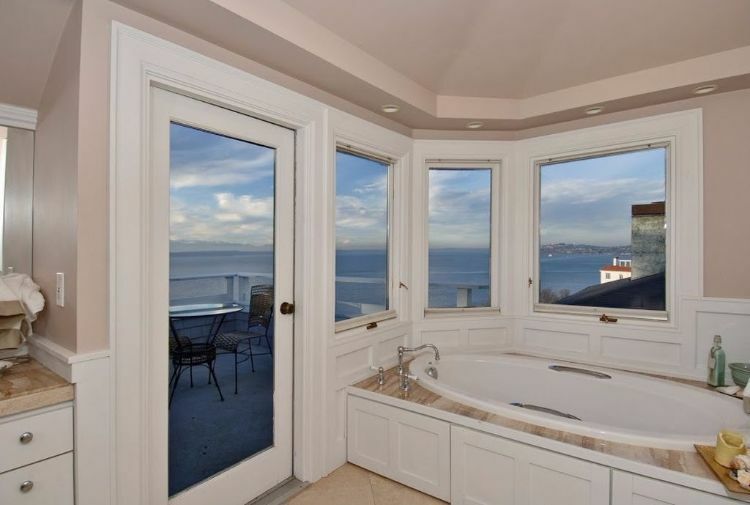 There is a large soaker tub at the back of the room, which is set in a windowed nook to take full advantage of the amazing view. A glass door here leads out to the patio. 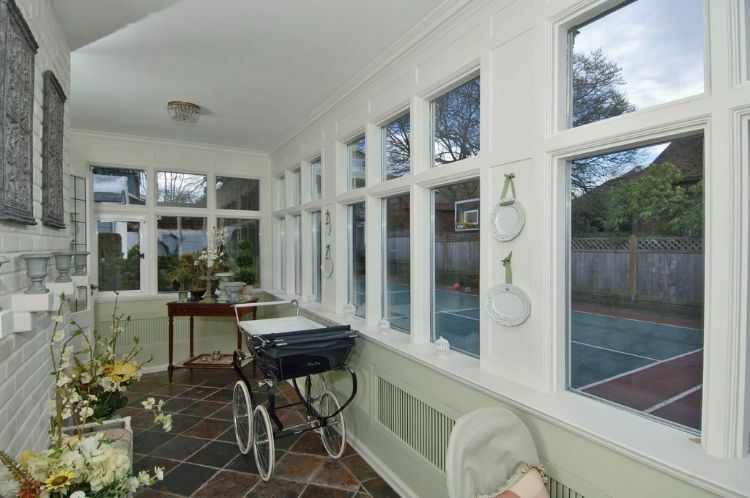 Downstairs, you will find this charming little sunroom. 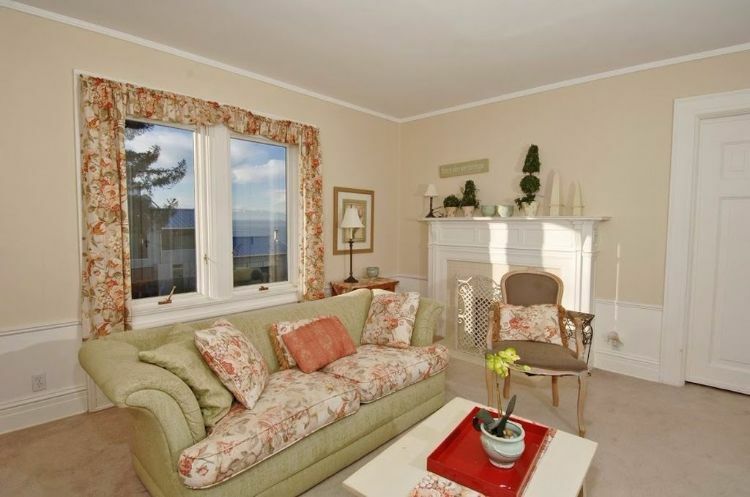 As you can see by looking through the window, the home boasts a tennis court as well! What's your favorite part of this beautiful Craftsman? Let us know in the comments on Facebook, and be sure to share this article with your friends if you loved it!